Vector image of a black highway billboard complete with walkway and lighting. It's tilted in perspective at a slight angle that gives it depth and a bit of dynamics. Great advertising image, just place a logo, photos or copy on this free download for an eye-catching ad. 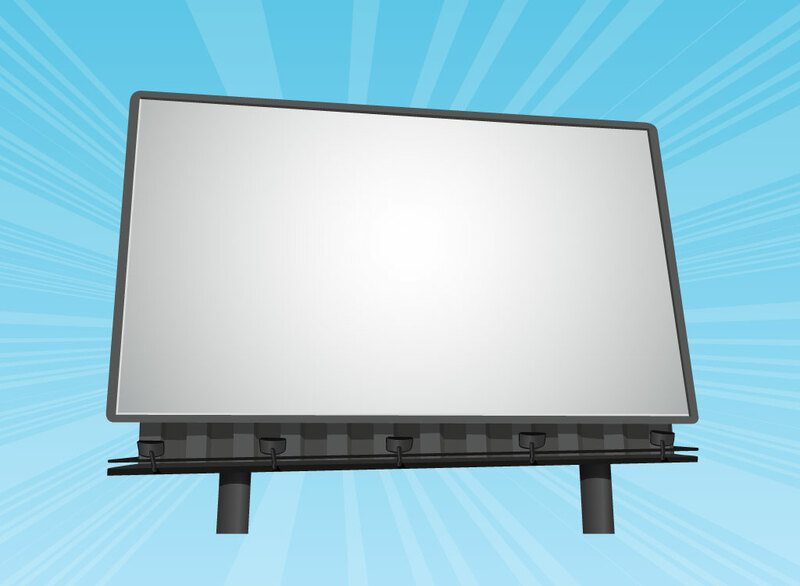 Download billboard vector render to design unique promotion, advertising, communication, customizable ad space, signpost, selling tools and shop promo poster graphics. Tags: Advertisement, Advertising, Canvas, Copy Space, Poster, Promotion.